On our Facebook Page, we've been sharing what a typical week looks like in ministry here in South Africa. Jack works in "the office," aka, the Biblical Languages department at Stellenbosch University. There he works on writing his Masters thesis and discusses current research in translation, linguistics, and Hebrew. The topic of his Masters thesis is a functional description of the Hebrew word "now". He hopes that the final product will be useful for Bible translators and commentary writers. He has made solid friendships with both Christians and atheists, and often finds himself at thecrossroads where academia and ministry meet. Most of the university culture here is very secular and I would definitely call it a “party school.” There are lots of students searching for answers, so there are many opportunities to love well and be ready for meaningful conversation. He facilitates a group of Christian scholars who meet to discuss how best to be a Christian witness in secular academic settings. 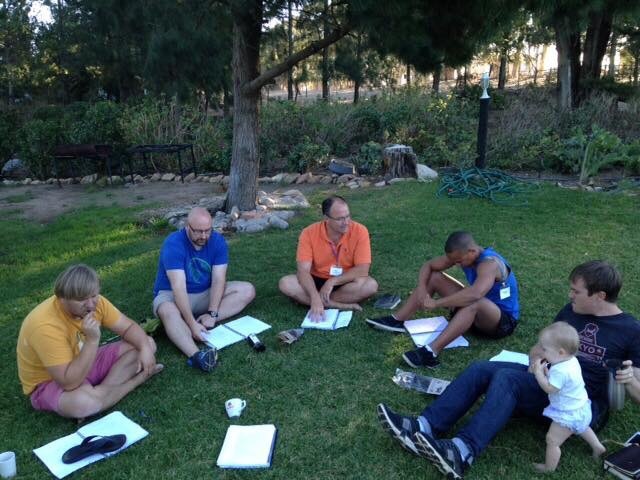 The group spends time sharing research, praying for one another, and encouraging one another. During Micah's naps I write for East Mountain and make (slow but steady) progress leading our website development team. Tuesday mornings we salute the American way of life by frantically rushing around, throwing pacifiers and lunch into the diaper bag, juggling breakfast and coffee, and realizing we are out of breath as we pull out of the driveway. Staff meetings are held at the East Mountain community house. We discuss current ministry initiatives, get support from leadership on any tricky discipleship challenges, and look ahead to what leadership training workshops are coming up. It’s a great time of connecting with staff, who are spread out all over the area as we serve our partner pastors. After staff meetings, we break into our ministry-specific teams (we call them “tribes”) and work on our current projects. Right now, my team is focused on leading EM’s summer internship, which is happening now! We have 6 young people from South Africa, the U.S., the U.K., and Namibia. During their six weeks with us, we will focus on teaching them practical leadership skills and theological lessons from the book of Ephesians, while giving them opportunities to go deeper in their walk with the Lord and be individually mentored by a member of our community. Jack’s teams is heavily involved in supporting our partner church in Mitchell’s Plain, a low-income area that battles gang activity, drugs, and a lack of economic opportunity. Micah comes along with us, (sometimes) napping in her car seat as we meet, exploring the back yard, and getting lots of cuddles from our community. On Tuesday evenings, our small group from church meets. We are so thankful for them. They have loved us well through moving here (and not knowing anyone! ), welcoming Micah into the family, surviving colic, busy ministry schedules, and more. Jack goes into “the office” again, where he works on a grammar project for the Ancient Languages department. He converts written lectures into an online learning format, with the goal that students who are behind in their grasp of grammar can catch up as they begin studying Hebrew, Greek, or Latin. I host a group of young women at our apartment. I facilitate us through an intense community-building and spiritual formation process called “Battle for Hearts.” It has been a challenging but rewarding process, and every week, I’m reminded of the ways I need to grow as a leader. Jack meets with his men’s Battle for Hearts group and does ministry work for East Mountain, including planning special events, addressing technology needs of the ministry, and meeting with others on staff. I meet with Nancy (name changed to protect her privacy), a mixed-race woman that I mentor. We are going through a really great foundational study together. biblicaltraining.org has provided us with so many free, high-quality tools to use as we teach and mentor others. I’m so thankful for it! Nancy has a sharp mind and deep desire to grow in her knowledge of the Bible. Her insightful questions keep me on my toes! Meeting with her is one of my favorite parts of the week. 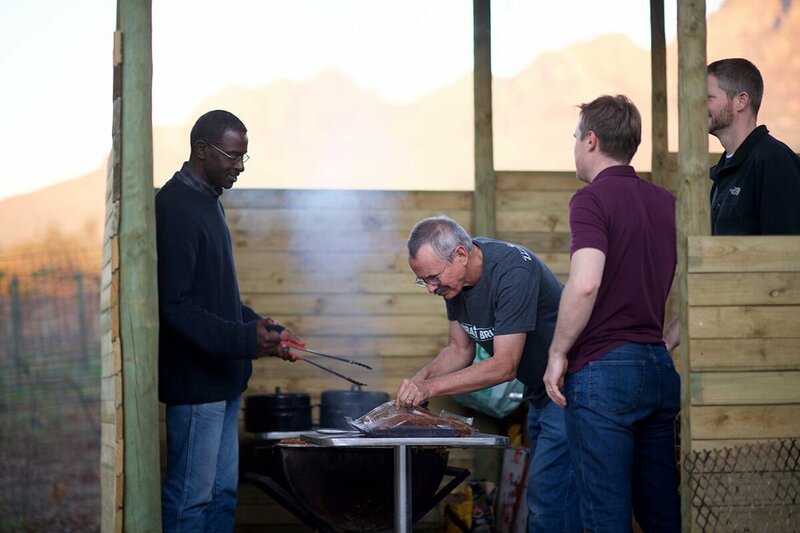 After Jack spends a half-day in the office, we go out to the EM community house for the weekly “braai,” a quintessentially South-African gathering that centers around grilling LOTS of meat and relaxing with friends. We deepen relationships with EM’s ministry partners, board members, staff, former interns, and all kinds of other friends, new and old. It’s at the braais that many of our strategic connections are formed with local pastors. SATURDAYS are catch-up and adventure days. 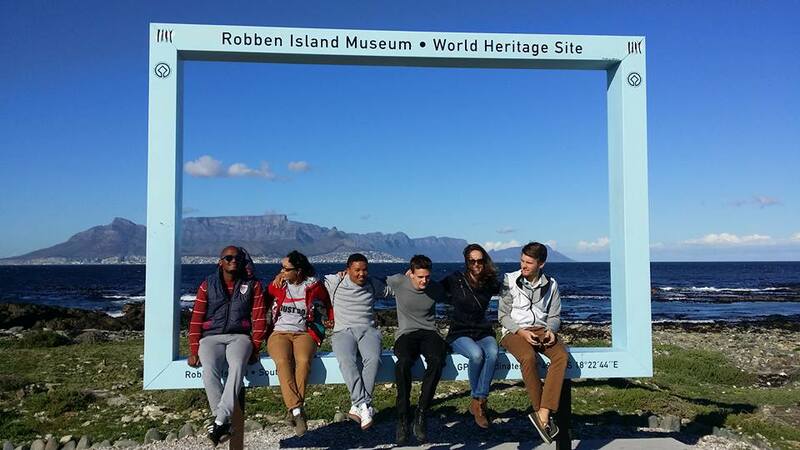 When we are good and get our work for the week done, we adventure around Cape Town or hang out. Often, however, we spend some of the day catching up with ministry work, prepping for the coming week’s meetings, and Jack works on his studies. SUNDAYS are sabbath and family days. We have learned the importance of rest and protecting family time! Being in full-time ministry means it’s easy to become over-committed, and before you know it, you are working every day of the week. That’s especially true here in South Africa, where there are more people with more needs than we could ever meet! We worship in the mornings at Christ Church Stellenbosch. We are thankful to be slowly forming many genuine friendships with South Africans through our church. My favorite Sunday afternoons are those we take a nap or go hiking, followed by a Face Time call to our families. And that is a typical week here in South Africa!